Lung Cancer Alliance commits each year to hosting Love Lung Run/Walks. These events generate awareness and funds to help support and unite those who are affected by lung cancer. 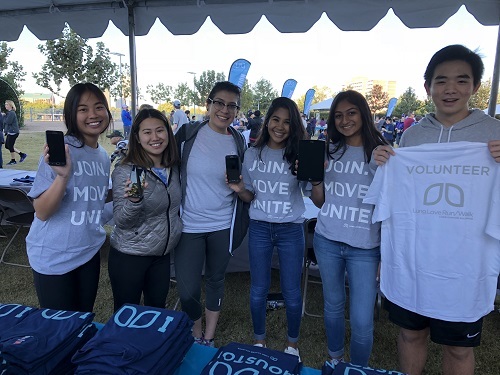 Lung Cancer Alliance needed a more efficient way to facilitate their day-of activities such as: day-of check-ins, registrations, merchandise sales and donations with a goal of eliminating tedious data entry post event. Automatically generated barcodes for all registered participants within a desired time frame, allowing Lung Cancer Alliance the option to send an email via Luminate to all participants that contained this unique participant barcode. If a participant then showed their barcode the day of the event, the GRU app would read the barcode, quickly pull up the participant on the mobile device, and give the volunteer the option to immediately check-in this individual.